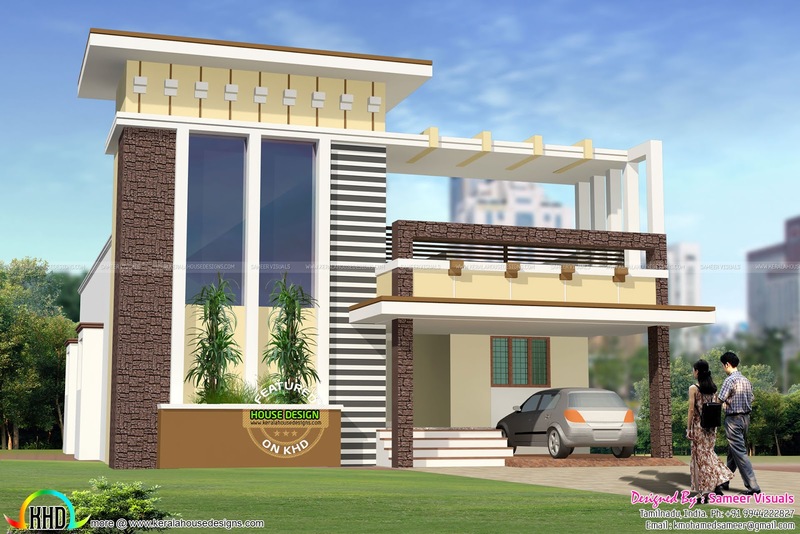 1620 Square Feet (151 Square Meter) (180 Square yards) modern 2 BHK house architecture. Design provided by Sameer Visuals, Tamilnadu, India. 0 comments on "1620 sq-ft 2 bhk house architecture"